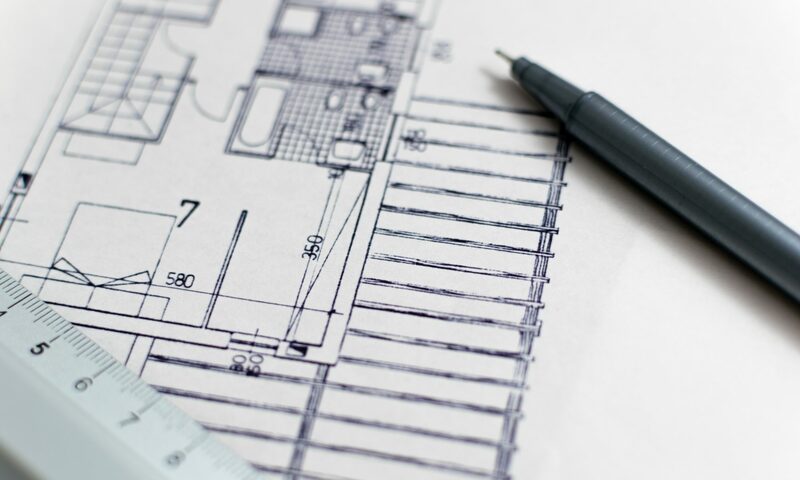 Plum Tree Gardens is a 6 unit senior duplex project located in the heart of Noblesville. This infill location allows for the project to blend perfectly with the surrounding residences. With careful consideration to its small size the site was designed to best drain rain water naturally with the use of vegetated rain gardens and swales throughout the site as well as proper use of drought tolerant plants to act as erosion controls for the site. With many amenities located within a short walk, and plenty of sidewalks on site and near by this location is ideal for a walking, biking, and healthy lifestyle. Every apartment at Plum Tree Gardens is registered with the LEED for Homes rating system, a third party verification system that ensures the highest standards of energy and resource efficiency. Sidewalks surround the rain garden and adjoin all of the apartments together to form a small community within the project. The rain garden will not only be beautiful but it will also manage the on site rainfall naturally preventing pollution of near by aquafers, rivers, lakes and streams. The entire property at Plum Tree Gardens is landscaped with native and adapted drought tolerant species. This means minimal maintenance and watering is required, while also adding natural beauty to the site. Energy Star is a big portion of what makes Plum Tree so special. Energy Star appliances and features are used throughout the unit including the refrigerator, washer, dishwasher, ceiling fan, exhaust fan, heating and cooling equipment, windows and doors. Using these specific features ensures that energy consumption and utility bills stay low. 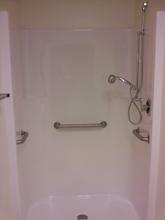 Every unit is equipped with a walk in shower including grab bars and the ability to add a seat is needed. They also include an adjustable shower rod to accomodate anyone. Low flow fixtures are used throughout the unit inculding the showerhead, lavatory and kitchen sink, this prevents wasting our most precious natural resourse while also saving money.